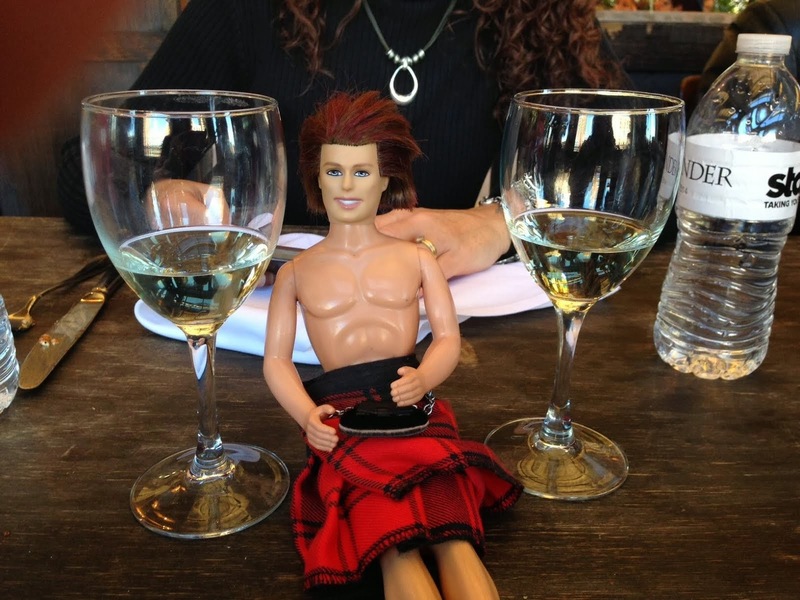 My OUTLANDER Purgatory: Outlander on General Hospital! While I'm not complaining... because I think it's fantastic that Herself got some recognition on a major soap... could they not have described it using something a tad more colorful than "really long"?? Love, love, love it! Even though I don't watch soaps, this is AWESOME! My first thought was "Why a soap?!" My fear is that it will push these books toward the romance & women's lit (at best)genres and they're SO MUCH MORE! Oh, nice. Very happy it's mentioned, but not sure that's the best sales pitch option! I think this is great publicity, anyway, and judging from her reaction on Compuserve and Twitter last night, Diana evidently thinks it's hilarious. I love General Hospital!!! Yippeee on mentioning the books! HA! I think that is so funny and that it was mentioned with a Sookie Stackhouse book too. How far apart can 2 books be. I think it's funny too b/c isn't Outlander her shortest book out of the series? Don't give the poor woman A Breath of snow and ashes! Great post, thanks. I loved your comment, "Hey, even Diana can't come up with a way to describe OUTLANDER in 25 words or less. " I don't think Diana can describe anything in 25 words or less. . Which is why I love her! Tracey I thought the same thing! There has to be a reason they'd mention Outlander!! And Sookie! I was happy Outlander was included with such a high profile series! But I agree, not sure "it's really loooong" will hook readers until they find out that this is definitely a case of the more the merrier. GH - Luke & Laura wedding - no match for Jamie & Claire's. Too long, not long enough!